Jeremy Seabolt, fondly known as "Seabolt" is a native of the North Georgia Mountains here in Blairsville, GA. Fishing has been a part of his life since he can remember. He first began fishing with his father, the late George Seabolt, wading the cold rivers in search of trout of any kind. He first began guiding in 2001 on Lake Nottely and that was over 15 years ago. 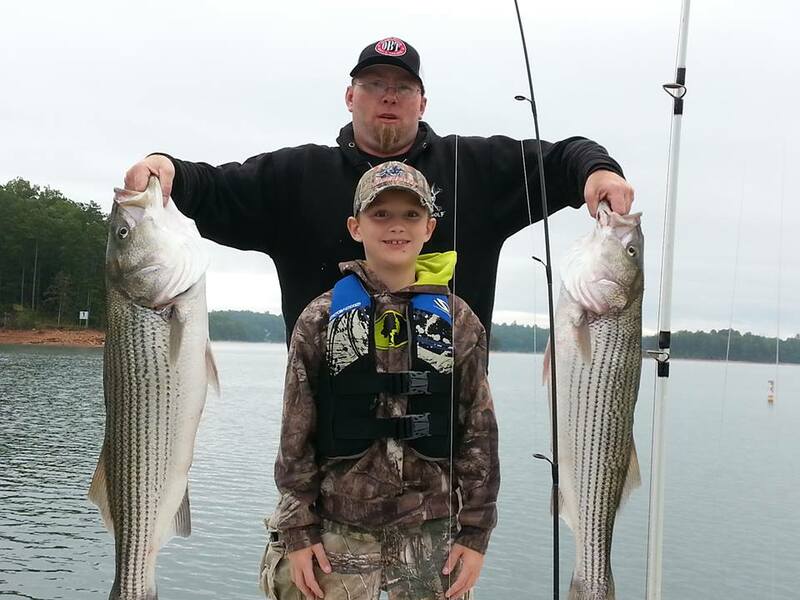 He truly enjoys being on the lake with his 9 year old son, Doccoa Seabolt featured in the picture. Jeremy loves his Appalachian heritage and he loves sharing this with his clients. He truly enjoys finding the big ones for his customers and showing them the beauties of Lake Nottely. If you ask Jeremy, he'll tell you, "I love my office." Who wouldn't love the peaceful serenity of Lake Nottely surrounded by those Blue Ridge Mountains. Call or email Jeremy today to schedule a fishing guide. You will see the difference in the customer service and skill he has. 706-994-8649 or email me at SeaboltsGuideService@yahoo.com. Up to 4 people per fishing trip. Have questions? Call Jeremy at 706-994-8649. "I have been fortunate to work with Seabolt, as well as fish with him all over North Georgia & his experience is the best in the fish guiding service. He really knows where the fish are and how to catch them. Not only does he have the expertise, he also has the customer service that separates him from the other guide services here. You will not be disappointed with Seabolt's fishing guide service. Try it and you'll see why GON has chosen him to do their monthly fishing guide updates. He's the best of the best in the fishing guide services".